Following the barbaric terror attack carried out by the white supremacist Brenton Tarrant on the two mosques in Christchurch, New Zealand, jihadi organizations and their supporters have been exploiting the event to boost their narrative of a Western war against Islam and Muslims. In the days since, almost all the most prominent jihadi organizations have issued statements and shared video condemning the “crusader” attack and calling for the worldwide retaliation. As the article will show, the two leading jihadi contenders, Islamic State (ISIS) and Al-Qaeda, have taken two different paths to capitalize on the Christchurch attack. 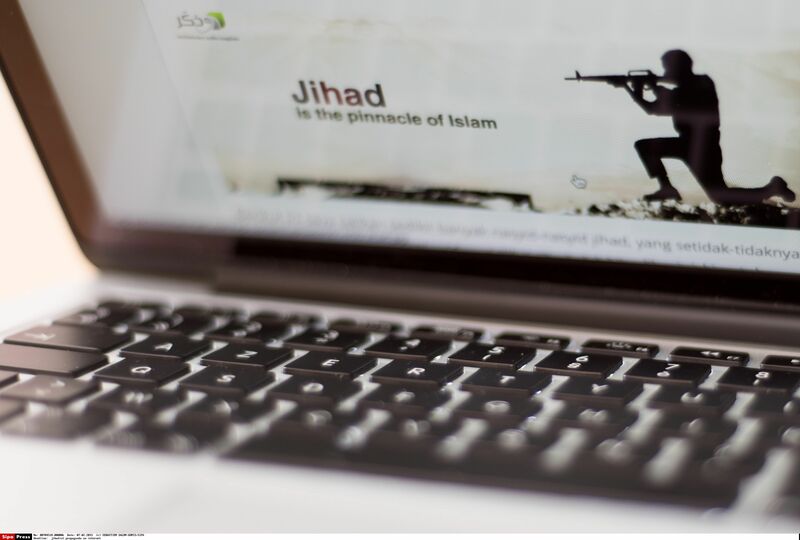 Immediately afterwards, several pro-ISIS Telegram groups, such as Al-Battar and Abd al-Faqir Media, posted many images threatening New Zealand and Australia with city-stopping cyber-attacks, among other things. The very first jihadi group to comment on the event was Harakat al-Shabaab al-Mujahideen (HSM), the Qaedist organization in Somalia. Through the words of the official spokesman, Ali Mahmoud Raji, shared by al Shabaab’s news channel Al-Shahada News, the group disseminated a narrative where US President Donald Trump was leading a holy war against Muslims. In response, said Raji, Muslims in the West should return to their countries of origin—or that of their ancestors—because the West had demonstrated that it is not safe for them. Truly, [just as the attacker says,] the conquest of Constantinople, the siege of Vienna, the conquest of the Balkans, the conquest of Sicily, the battle of al-Zallaqa, are historical events that remain and will continue to remain in the collective memory of the Romans in their doctrines, whether in the East or the West. AQIM and JNIM also reiterate HSM’s call for Muslims in the West to leave to Muslim-majority countries “even [if] they had immigrated to escape the oppression of our Arab and Islamic countries.” Finally, AQIM and JNIM promise revenge against the crusaders and their interests and seek to incite lone-wolf style attacks against fascist leaders in the West and all who praise the mosque attacks. Al-Qaeda’s central leadership was chronologically the last to issue a statement, but its message echoed that of its affiliates, calling for attacks against the “crusaders”, but asking that places of worship be avoided as targets. In the 174th issue of Al-Naba, ISIS’s weekly magazine, the authors heavily criticized the reactions issued by other jihadists like the Taliban and Al-Qaeda. Some Islamists had condemned the terror attack in Christchurch and called on the authorities in New Zealand to protect Muslims in the country, a position ISIS was scornful of, as it was Al Qaeda’s statements, considered weak in themselves and, worse, weak out of a fear of provoking an anti-Muslim backlash in the West. The jihadists’ attempts to capitalize the Christchurch terror attack are unsurprising. Notably, Al-Qaeda is continuing to act in a way that allows it to maintain its more “moderate” brand, as against ISIS, seen by Al-Qaeda as a more realistic way of acquiring mainstream sympathy, and perhaps ultimately support, from Muslims. ISIS, as ever, seems to relish being seen as extreme and intransigent, not unlike some European populists who point to the anger and hatred of their opponents as vindication of their cause. And there is a logic to ISIS maximizing support among its base, which is absolutely rather large, if relatively very small. This is all bad news for the West, since the dynamics of this competition allow the jihadists to reach a much wider spectrum of people than they would alone.